All DVM’s must be locked to the same video sync source. All DVM’s must be told to play at exactly the right moment, and at the same time. This Application Note describes how to accomplish this with a DVM. To synchronize DVMs properly, you will need either DVM-7400/P or DVM7400/D models. These models have the hardware needed to operate from an external video sync source. With that said, you can use this guide to install the cabling needed to lock all DVM’s to the same video sync source. First, verify that each DVM is configured to receive C-Sync and that each one also has the 75-ohm termination enabled. Select a DVM to be a Master video sync source. The Eenie-Meeny-Miney-Moe method works well if you have trouble deciding. Using a standard BNC cable, connect the sync Output of the Master DVM to the sync Input of the 2nd DVM in the chain. If both machines are powered on, you should see the yellow LED on the back of the 2nd DVM illuminate when you connect the cable. If you have more than two machines, continue by connecting the Output of the 2nd DVM to the Input 3rd DVM. Continue this process until you reach the last DVM in the chain. Check your work by verifying that the yellow LED is illuminated on every machine except the Master. Triggering the DVMs at the proper moment requires a control system with enough RS-232 control ports to interface to each DVM as well as the ability to accept an external video sync source. 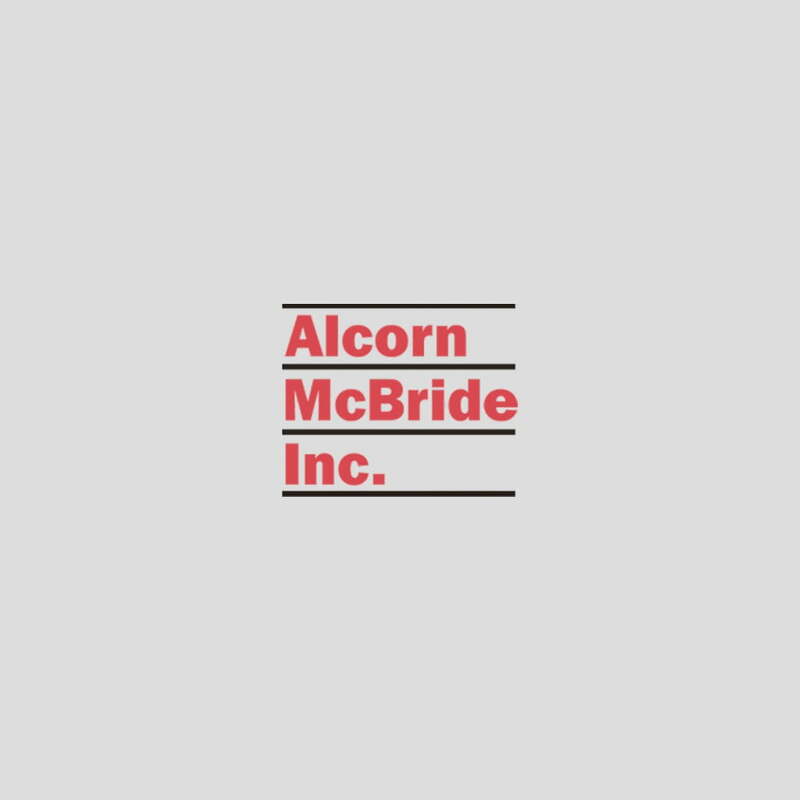 It just so happens that Alcorn McBride specializes in designing and manufacturing these types of controllers! When you are ready to install the controller, you should connect its C-Sync input to the same sync source you are using for your DVMs. If your DVM’s are daisy-chained (as specified in this document), the best place to make this connection would be the sync Output of the last DVM in the chain. Once you have done that, you just need to connect the RS-232 cables to the serial ports on the controller. The only remaining work is to write a script, or program, using a Windows application called WinScript. This script is what is eventually transferred to the controller to tell it what to do and when. The example script called SYNC2DVMS.AMW can be used to implement synchronous playback between 2 DVM-7400 video players. This is a great place pickup the basics without the need to create a script from scratch. If necessary, this script can be modified to add more players, or even select different players (ie. DVM/HD or DVM2).